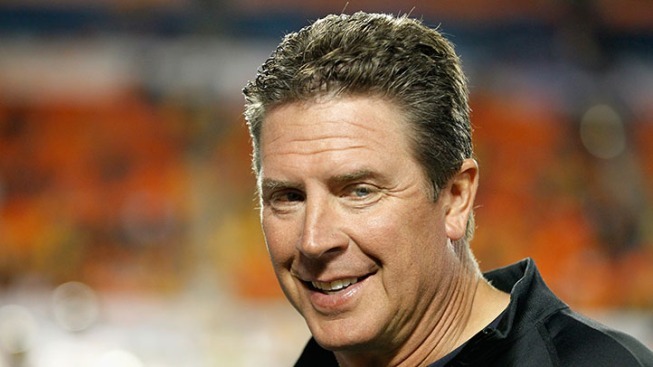 Miami Dolphins Hall of Fame quarterback Dan Marino joined 14 other players in a lawsuit filed against the National Football League filed last week in U.S. District Court in Philadelphia. The lawsuit doesn’t target the makers of helmets like Riddell, which has been named in other player’s concussion lawsuits. The filing of the lawsuit by Marino comes just months after he was let go by CBS as part of a restructuring of the NFL Today on Sunday mornings. Marino worked for 12 seasons as an analyst at CBS after he retired from the NFL in 1999. Marino played 16 years in the NFL and started at least 12 games in all but three years of his career. Since then, Marino and the Dolphins have reportedly had discussions on a role with the team, but nothing concrete has materialized. Nearly 5,000 former players are involved in lawsuits have been filed against the NFL over the issue of concussions. A massive settlement nearing $700 million between the league and many of the players was rejected by a federal judge over fears it wouldn’t be enough to cover the ongoing medical expenses. The other former players filing suit with Marino are Erik Affholter, Richard Bishop, Bruce Clark, Chris Dugan, Anthony Grant, Mark Green, John Huddleston, Ethan Johnson, LaCurtis Jones, Peter Manning, Moses Moreno, Toddrick McIntosh, Jackie Wallace and Dwight Wheeler.